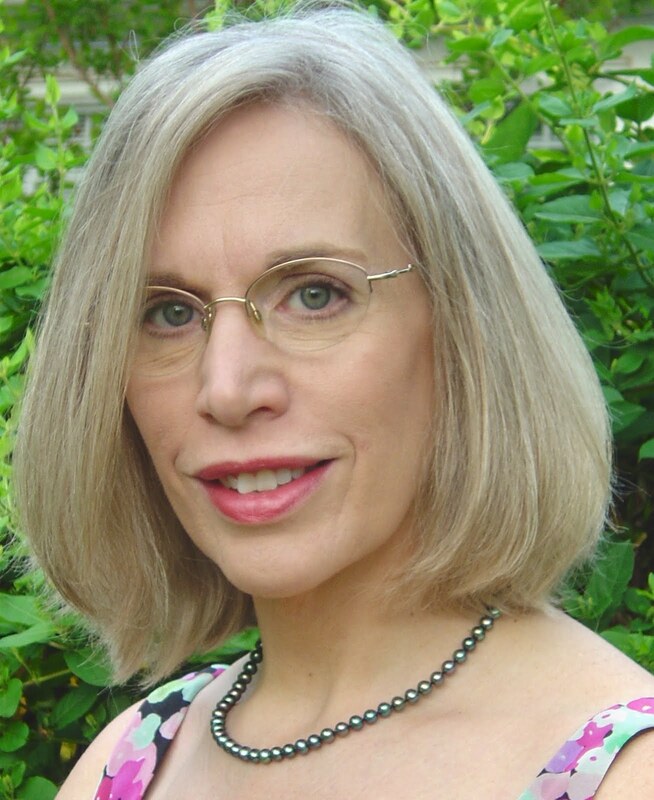 THE GIFT OF POETRY FOR THE HOLIDAYS: Nancy Simpson's "Living Above the Frost Line"
December first and time to begin to think seriously about holiday gift-giving! Over the next two weeks I will be making recommendations for poetry lovers--and for those who think they don't like poetry but will change their minds once they read these books. 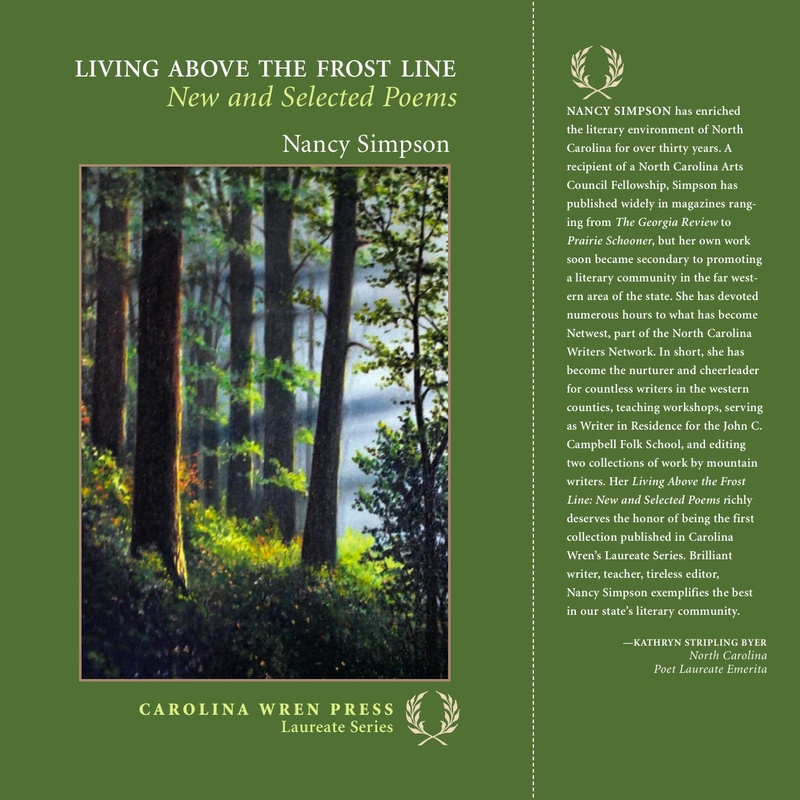 I will begin with my longtime friend and sister in the art, Nancy Simpson, whose Living Above the Frost Line: New and Selected Poems was published this fall by Carolina Wren Press. It's a beautiful, elegant book, with French flaps (a shawl-like dust jacket/cover) and cover image that is gorgeous. Just click on the image above to enlarge and see what I mean. Nancy Simpson has enriched the literary community of North Carolina for over thirty years. 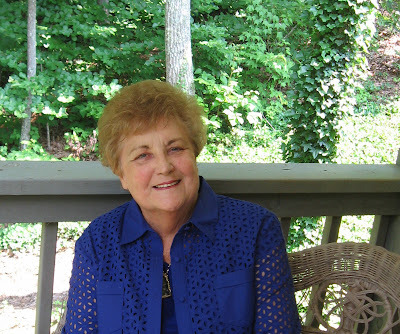 Her work was first heralded by the late Richard Hugo when he read and celebrated her poems at the Callanwolde Literary Festival in Atlanta, shortly after she began to show her poetry around to friends and readers in the far reaches of western North Carolina. He praised her rich inner life and her ability to give expression to it as it manifested itself in her everyday life. Whether driving over the Nantahala Gorge in “Night Student,” expressing the complexity of self in “Driven into the interior,” or documenting the carnage of the first Gulf War in “Voices from the Fringe,” she brings the inner and outer worlds of her experience into a harmony that resonates like the current giving voice and shape to the mountain creeks she loves. 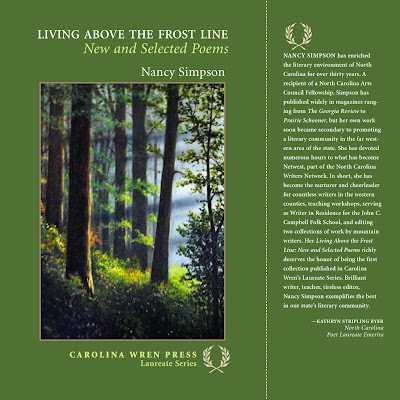 Living Above the Frost Line: Selected and New Poems traces the growth of a poet determined to survive despite the obstacles raised by age, mortality, and the inevitable losses that come from being alive in this world. Through her poetry she greets that half-drowned woman, harking from her Florida girlhood, who appears as her muse in “Bridge On the River Kwai, “ bearing gifts of memory and sustaining images. In return the poet gives her “a mountain, the safest place to be.” Rarely has the relationship between poet and muse been so beautifully expressed. Nancy, on the porch of her Cherry Mountain home. I'm delighted to be able to offer several of my favorite poems. of his red pickup truck. who is taking him for a ride. calling to us, Come hither! the story that is left to tell. three of them with dark brown eyes. had to fall off the porch, to test every rule? around the world to be my son? in the landfill with their outgrown shoes. I stood with as mother of the groom. One whistles on a hillside, feeds his dogs. climbs today on a mountain in Switzerland. All of them far from the mother house. Town Valley submerged in clouds. Seagulls do not live in the mountains. you show me things not seen before. Men are swimming on the courthouse lawn. Barnacles collect on the pier. hoping no one could decipher. Shell is sharp to touch. into green ocean at South Beach. hold on. Some are encased in stone. They could cut you bloody, Girl. she would die if she gave birth. when she tried to rest. how she fell down praying. she could not kill. Don’t you see? I was in the best possible position. where light is found all day. We stand over the carcass of a jellyfish. It has given up the ghost, grown opaque. you lit the sky of the underworld. how long it lived in the ocean. Gulls show interest in our arithmetic. to the sound of our voices. of the island? Are we moving in a circle? with a moon shell for a new house. don’t you think, on gray matter? Evening turns out just as imagined. the surf, our bodies submerging. earth is a woman with plans. 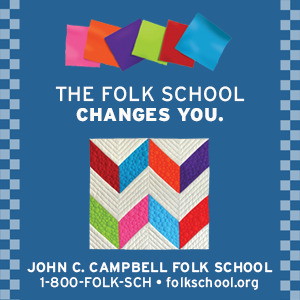 ...to our invitation to blog about your favorite Appalachian book. All of you will be receiving prizes, so if I don't have your mailing address readily available, I may be contacting you for it. We were especially glad to be introduced to Lamb In His Bosom, and thank Gary Garden for sending us this piece. The essays on Fred Chappell's Ancestors and Others (Penny Morse),and Lewis Green's The Silence of Snakes (Bill Everett) were stand-outs as well. And although Melissa is not a Netwest member, her piece on Fair and Tender Ladies was a lovely personal testimonial. She deserves to be rewarded! 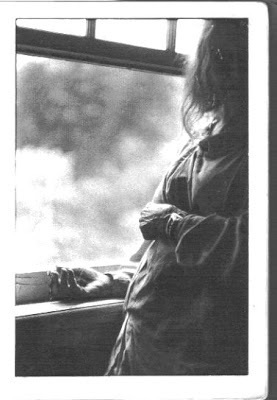 Carole Thompson's piece on Glenda Barrett honors one of our own best mountain poets. So, thank you to Gary, Bill, Carole, Melissa, and Penny. We may try another blog prompt in early summer. In the meantime, keep reading and loving what you read. THANKS SO MUCH TO THOSE OF YOU WHO RESPONDED TO THIS BLOG REQUEST! BECAUSE IT'S EASTER WEEKEND AND PEOPLE HAVE BEEN AND WILL BE BUSY, I'M GOING TO LEAVE THE GATE OPEN FOR MORE SUCH POSTS, AND THEN, WITH NANCY AND GLENDA, CHOOSE THE ONES WE WILL HONOR WITH AN APPALACHIAN BOOK AS REWARD. HAVE A LOVELY AND LOVING EASTER WEEKEND.